Goldman Sachs Asset Management is to acquire Standard & Poor's model portfolio business in an effort to boost its multi-asset and rules-based equity propositions. The amount Goldman Sachs was set to pay for the business was not disclosed. SPIAS offers non-discretionary advice to institutional clients. The business manages multi-asset, equity and fixed income vehicles. It had oversight of more than $33bn in assets at the end of December 2018. We look forward to becoming part of one of the world’s leading asset managers, which will deliver additional resources to benefit our clients and address their changing needs"
The pitch to advisers is that they can focus more on the personal side of their jobs — spending time with clients and focusing on their wider financial health — rather than on making asset allocation choices with ETFs or single securities. SPIAS is part of S&P Global Market Intelligence, which itself is owned by S&P Global. Goldman Sachs "is acquiring a compelling platform for growth and a differentiated team with a strong long-term track record of performance. The team's expertise will allow us to deliver greater value to the financial intermediaries and institutions we serve," said Timothy O'Neill and Eric Lane, co-heads of the consumer and investment management division at Goldman Sachs. GSAM is part of Goldman Sachs' consumer and investment management arm, which managed over $1.5trn in assets at the end of December 2018. 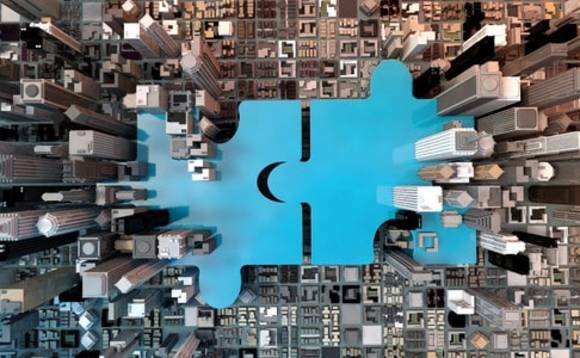 "We look forward to becoming part of one of the world's leading asset managers, which will deliver additional resources to benefit our clients and address their changing needs," said Michael Thompson, president and chairman of SPIAS. The deal is slated to be completed in the first half of this year.